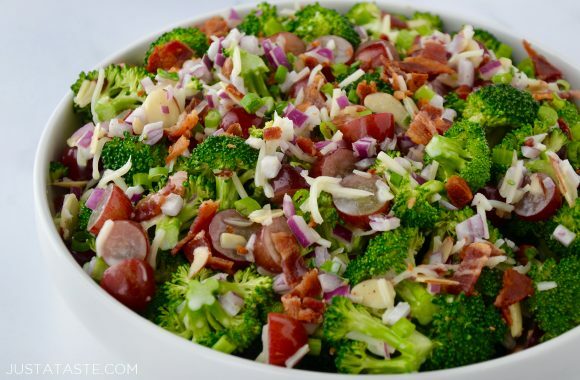 Whip up a homemade take on a deli favorite with this fast and fresh recipe for The Best Broccoli Salad with Bacon. 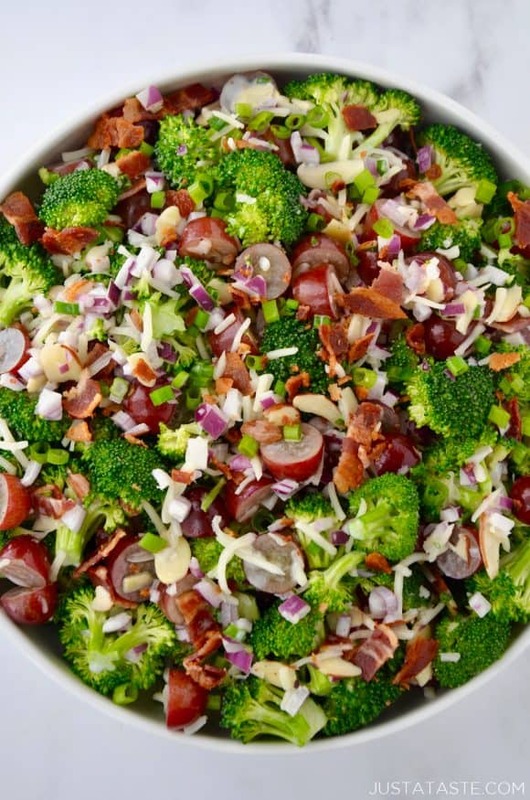 Broccoli Salad with bacon … and grapes? And cheese? And almonds? And has she lost her dang mind? Sounds strange, right? 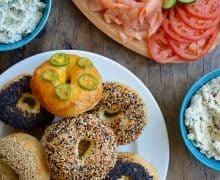 But one taste of this updated take on a deli counter classic and I guarantee you will be hooked on this family favorite recipe for all of your summer barbecue, fall fest, winter potluck and spring shenanigan needs! 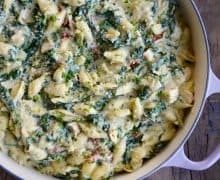 It truly is a 365-days-a-year recipe that transforms a boring ol’ cruciferous veggie into a real stunner of a side dish. 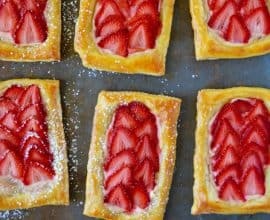 And it just so happens to embody every essential textural component and flavor profile to create the perfect balance of all things creamy, crunchy, sweet and savory. 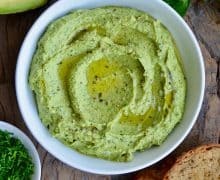 As straightforward as this recipe is (we’re talking make dressing, dump on ingredients, stir), there is one step—or I should say, lack of step—that will designate whether this recipe really does earn the title of “The Best Broccoli Salad” or rather “Just Your Ordinary Broccoli Salad.” And that comes down to one word: blanch. 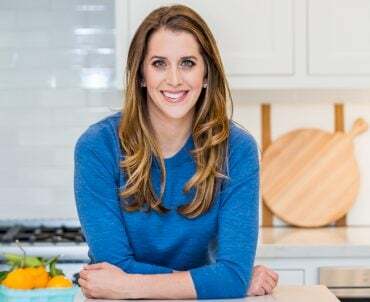 What happens when you blanch the broccoli (either in an attempt to brighten its color or slightly tenderize it), is that you inevitably cannot dry it well enough to avoid any excess water from entering the equation. And water + this super-creamy dressing = not BFFs. 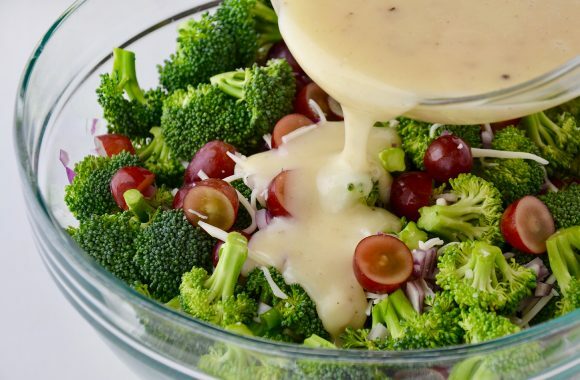 So save yourself the time, save the planet a little water, and just keep things simple with good ol’ raw and maybe not-so-vibrant but definitely, definitely the best broccoli salad (with bacon … and grapes … and cheese … and almonds). 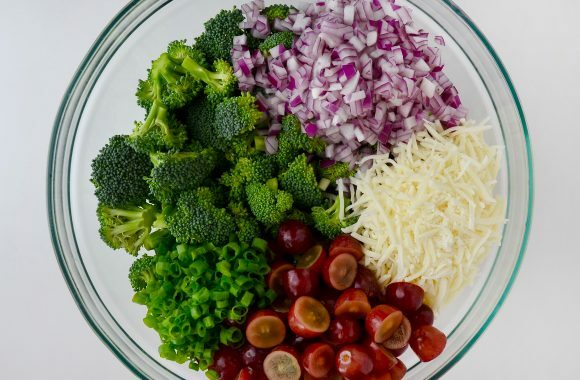 In a large bowl, stir together the broccoli florets, sliced scallions, diced red onion, shredded mozzarella cheese and grapes. 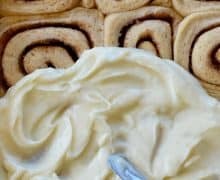 In a medium bowl, whisk together the mayonnaise, sugar, white vinegar and milk. Taste and season the dressing with salt and pepper. 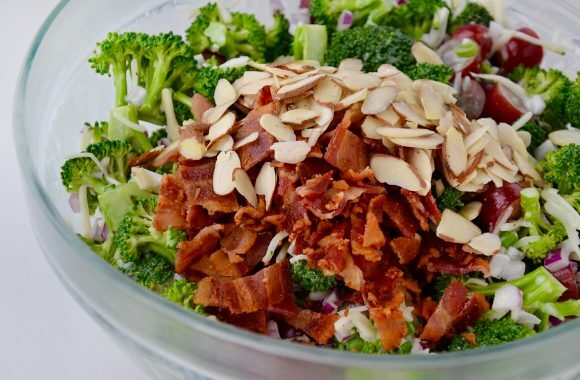 Add the dressing to the bowl with the broccoli, tossing to combine, then stir in the sliced almonds and crumbled bacon. 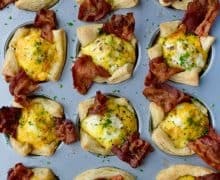 Serve immediately or store, covered, in the fridge until ready to serve. 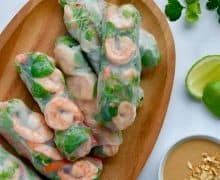 It’s best to make this salad a day in advance and store it, covered, in the fridge to allow the flavors to develop.